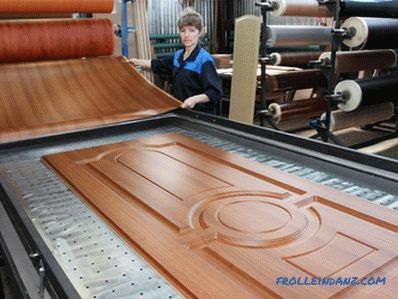 To determine which doors are better: veneered, laminated or PVC, we compare these finishing materials according to a number of parameters. Each cover has its positive and negative sides. Even the most expensive coating is not without flaws. 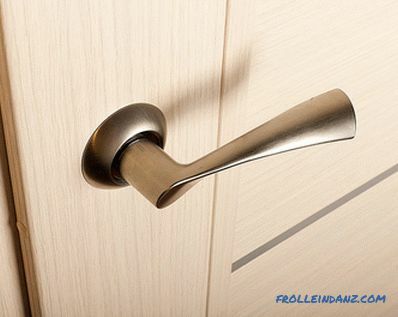 In addition, in the kitchen, bathroom or living room, the requirements for doors are somewhat different. Also an important factor will be the budget that you can count on when planning such a purchase. 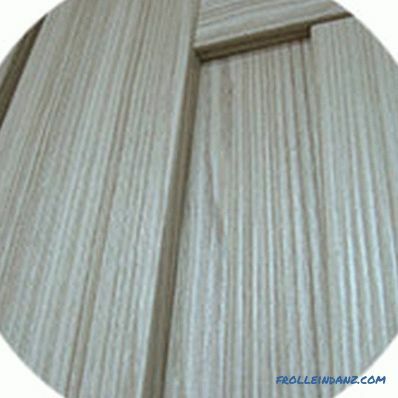 The choice for comparison, the specified materials for door finishing, due to their greatest popularity among consumers. The main task that stands in any industry is to reduce the cost of products while maintaining quality. Since the manufacture of doors often used materials other than the original (if earlier they were made of solid wood, but now it is rather considered a luxury), the standards themselves have changed. 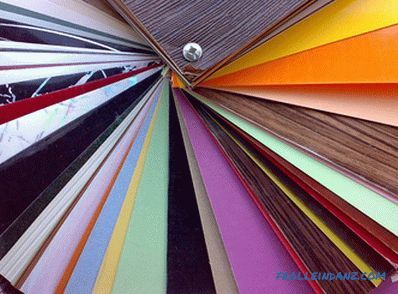 It is clear that an unequivocal solution, for example, which is better - PVC doors or veneers, cannot be, each coating has its own characteristics. For a start, consider each material and its constituent elements. Externally, the doors of this material are closest to the classical structures from the array - these models have the same surface pattern, similar operational properties, but their cost is much lower. 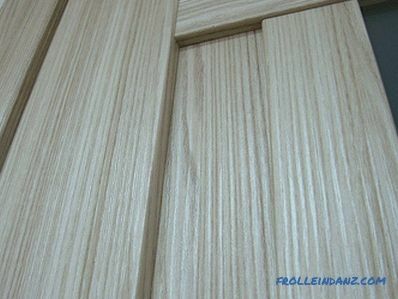 This is due to structural features, because the veneer is a thin cut of the tree, with a thickness of 0.2 to 5 mm and it is glued to the outer part of the door surface. The inner part is made of either a solid solid wood of a less expensive type of wood, or of chipboard and MDF. Another option is a frame made of pine bars, the cavities in which are filled with cardboard honeycomb filler and sheathed with MDF sheets. This design is much less weight than the models from the array, but it has a slightly lower strength. The layer of veneer is glued onto the finished frame by vacuum hot-pressing, which ensures the strength and durability of the mount. For maximum preservation of the appearance, the finished doors are varnished - this underlines the wood pattern, protects the veneer layer from ultraviolet and mechanical effects. As a result, veneered doors do not externally differ from those made from solid wood - a less professional will give them less weight, but for interior models this is rather an advantage. Since such doors are made of various artificial materials, they are less sensitive to temperature changes, and the low cost, compared to models from an array, makes this option one of the best buying solutions. 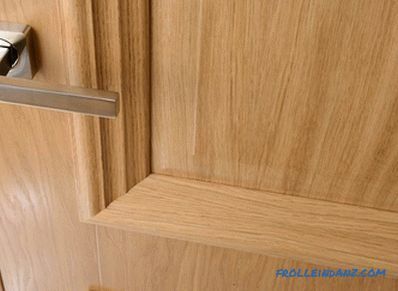 The general lack of such door panels is inherent in all wooden models - without special treatment, it is better not to install them in wet rooms. It is also better not to put veneered doors on the place where direct sunlight falls - despite the protective lacquer, they may darken over time. This is one of the most economical options. Structurally, they are a wooden frame, lined with MDF panels, which are coated with a laminate with the desired pattern or color. Outside the surface is covered with a protective layer. The internal cavities of the frame are filled with various fillings - mainly cardboard cells, but chipboard and MDF can also be used. The main advantage of such a door is its low cost and stable colors - the laminate manufacturing technology allows to get the same color even in products from different lots. Laminate is resistant to moisture, and the door inlaid frame ensures that there is no deformation from temperature fluctuations. Such models are low weight, so they can be used for installation in any interior partitions. 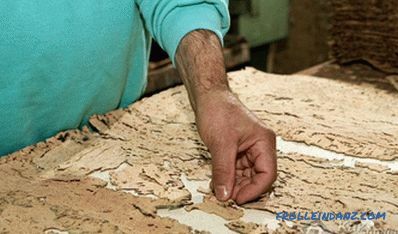 An ekoshpon is a film of polyurethane foam with wood chips. 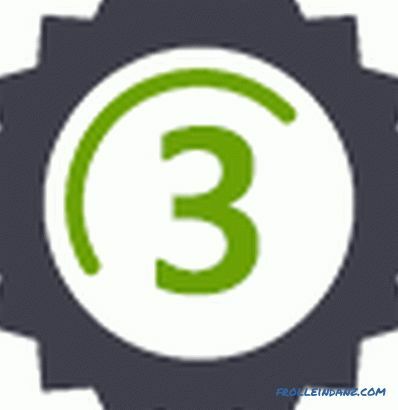 Application in the door industry found ecopsion for a number of reasons. In particular, in its manufacture used natural wood fibers, glued together with polymers. When applied to a flat surface, its relief becomes like a tree, not only externally but also to the touch. Eco-friendly eco-lists are called for the reason that it is chemically inert and does not contain chlorides in its composition - this is one of the criteria that can be guided in deciding which is better - PVC doors or eco-shells. In any case, between the "eco" and natural veneer there is nothing in common except the surface texture. Some sellers use external resemblance and present ecopsion as “the same veneer, only better,” arguing that they are not afraid of moisture. In fact, the inner parts of the frame are identical here, and the outer covering is made of different materials.This does not indicate a poor quality of such a coating - just the opposite - this is a new word in the manufacture of doors, just if for any reason you need a completely natural wooden coating, then ecophone will not work in this case. Unlike classic plastic doors, which are completely made of PVC profile, these models have a traditional wooden frame, which is coated from polyvinyl chloride. 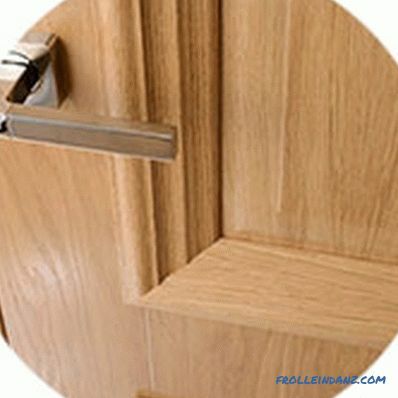 The film application technology involves the use of special chambers in which the frame of the door leaf is placed covered with synthetic glue. A film is applied on top of the surface, which is then baked at a high temperature — a diffusion process takes place, as a result of which PVC becomes part of the surface of the door. This technology allows you to get a matte or shiny surface of any color and texture. 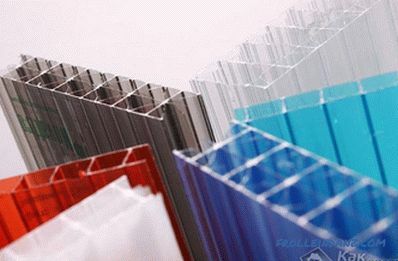 The application of PVC film can be made on a frame made of solid wood, which is made from a single piece of wood or glued together between the bars. The array in this case is taken from inexpensive, usually coniferous, wood species. The second option is the doors in which the frame is made of bars. The voids are filled with cardboard honeycomb filler, and on top of it all are sheathed with MDF panels, onto which PVC film is applied. When choosing between veneered, laminated, ekoshponom or PVC film doors, you need to take into account a large number of factors. Which of them to pay attention in the first place, and which can be neglected, depends on where and by whom such doors will be operated. Practice shows that when deciding which interior doors to choose - laminated or veneered, made of PVC or eco-sheeting, the issue of environmental friendliness does not pay as much attention as is commonly believed. But we consider these questions. Veneer . It is presented as an environmentally friendly and harmless to humans material that can breathe. Some marketers add here the third point that the use of veneer reduces the consumption of wood. Questions arise at once on all listed points. First, who will guarantee that the production used varnish or glue, which in the future will not emit fumes. Secondly, the surface is coated with varnish (and the veneer is always covered with varnish) can not be breathable. Thirdly, it is necessary to understand that it is not the consumption of wood that is reduced, but the amount of its waste, which now goes into production. Laminate . In fact, this is a paper coated with a protective coating - if it is of high quality and not subject to evaporation, then there will be no harm to health from such a door. Eco-sheet . According to the manufacturers, the material does not emit any vapors into the air, respectively, and will not let them out if they start to appear from the glue on the frame. Wood consumption is difficult to say here, because its fibers are used in production. PVC film . One of the components of this material is chloride, which is slowly but surely released into the air. 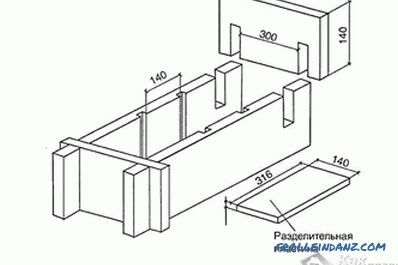 The question remains, it happens during the whole period of operation or within a certain time, but judging by the conclusion of the commissions about the permission to use this material and the number of installed plastic windows and doors, basically this moment remains without proper attention. It is much more often mentioned that PVC is completely artificial material, and wood is not used in its production. 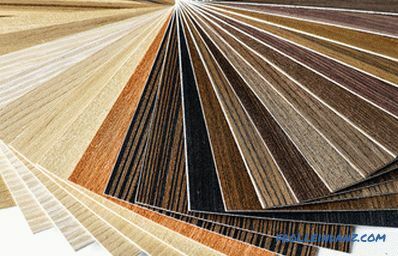 In terms of environmental friendliness, veneer wins with a slight margin, but doors covered with eco-carpet and laminate with high-quality coating are unlikely to be inferior to it. Here, it is also necessary to pay attention to the content of the door leaf itself. The best option in terms of sustainability will be doors, the frame of which is made of an array of low-value rocks covered with veneer. 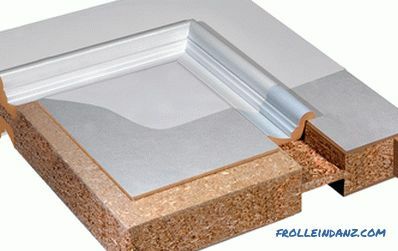 If you choose between a frame made of chipboard and MDF, then the best option would be MDF, because it is a more environmentally friendly material. This is one of the main parameters that determines the service life of doors. 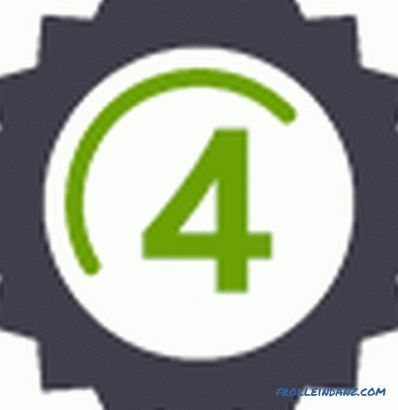 Usually, manufacturers try to improve this indicator by introducing new technologies. Veneer . The main protection of such doors is provided by a layer of lacquer, which they cover, but in any case, scratches and dents that can manifest themselves to seal or mask is quite difficult. Laminate . It was originally developed as a floor covering, therefore it is sufficiently stable to resist cuts and dents. But for low-cost doors, a material with a thin protective layer is often used, which can be susceptible to abrasion. Eco-sheet .Since it is based on polymeric materials, the wear resistance of the surface treated with it is at a high level - it does not crack, is not subject to chipping and deformation. If natural veneer can change its appearance with time, then eco-veneer will retain its original appearance for two to three decades. In contrast to products made of natural wood, eco-pockets are not susceptible to cracking and fading from ultraviolet radiation. PVC film . By technology, this material is literally baked on the surface, creating a durable coating. But when exposed to sharp objects, the film is easily damaged. In the future, it may lag behind the base. If you do not take into account the quality of the materials used, eco-strips and laminate are definitely leading in this category. Here we must take into account not only the finish but also what the door frame is made of — an array of glued-up wood bars or particleboard and MDF. In the first case, the effect of humidity and temperature will be much more noticeable. Veneer . In any case, such doors are not recommended to be installed in rooms with high humidity. If the frame is made of an array, then it will be susceptible to temperature changes. Laminate . It tolerates moisture, but if the outer layer is damaged, it will start to deteriorate. Eco-sheet . The material is not susceptible to moisture and temperature changes. These doors are recommended to put in the bathroom and toilet. PVC film . Plastic does not absorb liquid at all and is not subject to deformation under the influence of temperature, therefore it can be installed not only in wet, but also in technical, unheated rooms. In conditions of variable humidity and temperature, such doors will keep their shape unchanged. Artificial materials benefit from this parameter, and there is no particularly noticeable difference between them. Veneer . Wooden doors often require special care, since chemically active cleaning agents are contraindicated for them. As a result - they should not be installed in places with a large movement of people. Laminate . They are well tolerated in wet cleaning, but since the laminate layer is usually thin enough, it is better not to use abrasive substances when cleaning it. Eco-sheet . Manufacturers do not impose any restrictions on the care of the doors covered with ekoshpon, but it should be remembered that they have a relief surface, so do not use very rough cleaners. They also tolerate the effects of detergents. PVC film . The surfaces covered with it can be washed with any cleaning agent - besides this, they do not require any kind of care. 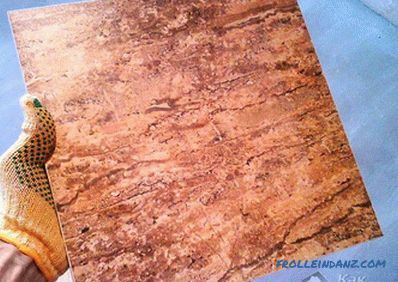 PVC surface has no pores, so it can be freely washed with detergents. The easiest way to care for doors with PVC-based outer cover is that their dense surface prevents the penetration of dirt inside and is easily washed off by any available means. However, on the same surface, various sweaty fat traces are best seen. None of the materials for the external coating of door panels imposes any significant restrictions on their design. Doors can be framed, with glass, other decorative inserts or with a pattern on its surface. Veneer . The surface has a characteristic wood pattern - most often coated with varnish, less often - painted. Laminate . Manufacturing technology allows you to put on the surface of any pattern, but mainly buyers choose solid colors "under the tree." Eco-sheet . This is mainly the design of monochromatic colors with the structure of the outer coating characteristic of wood. Apart from the fact that an ecointer layer imitates a wood structure, its advantage is the ability to paint a surface in different colors during production and to obtain, for example, a blue tree. At the same time, the colors at different doors will be exactly the same. PVC film . 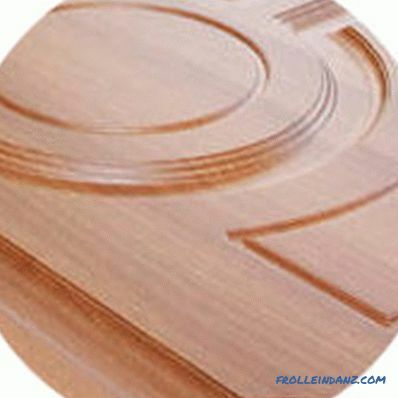 Manufacturing technology does not impose any restrictions on the colors and design of such doors, especially since there are opportunities to use embossed stamping. Doors with PVC coating can be made very similar to the design of solid or veneer, which allows them to be used together with such models in the same interior. A distinctive feature of coatings made from natural materials is the heterogeneity of their colors - the color of the doors even from one lot may differ somewhat. At the same time, no coating can convey the beauty of natural wood except veneer and ekoshpon. 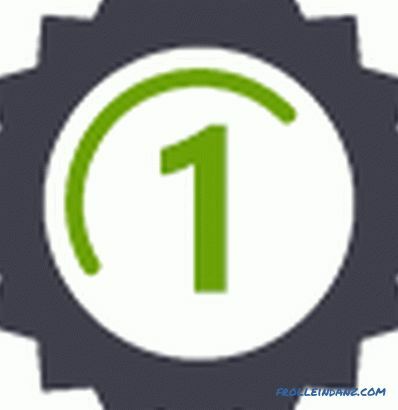 Leadership in this category will be quite conditional, because the doors with each type of external coating can be made in different price categories - with different filling and thickness of the coating itself. Veneer . Natural materials have always been in price, especially since over time, their deficit increases - veneered doors, other things being equal, will be the most expensive. Laminate . The cost of laminated doors is cheaper than veneer and ekoshpon, but more expensive than doors with PVC coating. Eco-sheet . The eco-sheeter is in second place in terms of cost, which is caused by the content of wood fibers in its base and recognized environmental friendliness. However, the cost of the final product for the buyer will be much lower than that of counterparts from natural wood. PVC film . Relatively low price is one of the most inexpensive and affordable economy class doors. 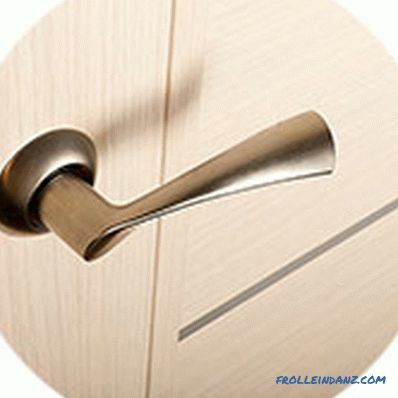 Also the type of the door will be of great value - folding, sliding or solid. 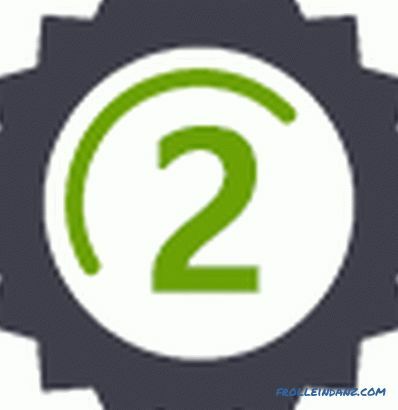 The first two options need additional fittings, the quality of which imposes serious requirements. Environmental friendliness Natural material, but glue is used to apply it. 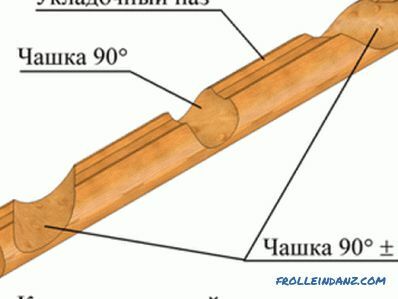 Artificial material comprising wood fibers. Artificial material, but high-quality coating is environmentally safe. One of the components is chloride, which is released into the air. Durability and wear resistance The main strength is provided by a protective varnish and the reliability of the coating depends on its quality. It has high wear resistance. If the coating is of high quality, it is well resistant to the formation of scratches and dents. It is easy to damage with sharp objects, after which peeling from the base may be observed. Reaction to humidity and climate change Very capricious, under the influence of moisture, peeling from the base can be observed. Not susceptible to moisture and temperature extremes. Resists moisture, but if the layer is damaged, it starts to deteriorate. Does not absorb moisture. Practicality and complexity of care Requires special care. There are no special requirements, but you should remember that the surface is embossed. There are no special requirements, but you should remember that the surface is embossed. The surface has no pores, it can be washed with detergents. Design and appearance of the coating Texture and color of natural wood. They have the texture of natural wood, but the color can be any. It is possible to apply any image, but mainly under the texture of wood. Variety of colors and design, but on closer examination it can be seen that this is a film. Door Cost High. Lower than veneer. Average. Low.